Rev. Mary Moore is Unitarian Universalist Association (UUA) Accredited Interim Minister (AIM). My calling to ministry came after I volunteered to work with a hospital chaplain, my taking a clinical pastoral education course with the chaplain, and my becoming hooked on ministry in general. I loved the people and the work, and I wanted to do ministry for the rest of my life. When my children required more of my attention, I interrupted my tenure as a parish minister and served myself as a hospital chaplain. 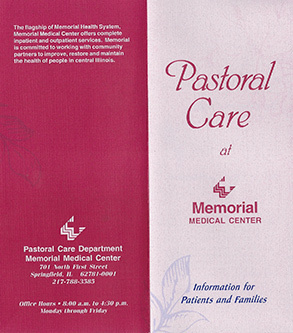 As an Affiliated Community Minister, I provided spiritual support at both Memorial Medical Center, Springfield, IL and at Methodist Medical Center, Peoria, IL. As hospital chaplain I came to have a better balance between the professional and the personal -- and became very experienced offering pastoral care to people. 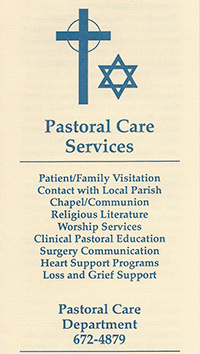 I worked with them in their grief and with end-of-life concerns. I preached at the ecumenical worship services held each Sunday in the chapel and up on the Extended Care Unit. And, I worked with fellow chaplains coming from different religious traditions on an ecumenical staff. Pastoral work has provided me some of the most intense moments of my ministry. I have had very sad experiences of ministering to a family of a young suicide. I have had to call the Child Abuse Hot Line regarding some children in the congregation and had to help the leaders and members deal with the arrest, trial, and conviction of a congregation member on charges of sexual abuse. I have helped people with their own end-of-life issues. I have supported individuals and couples with their relationships and personal worries. My experience as hospital chaplain has honed my understanding of how to appropriately engage people when they are vulnerable. And, I have learned how to limit my involvement or disengage when that is the healthiest course of action. The ability to engage fully, yet appropriately, is skill that is especially important for an interim minister who is present in a community for only a limited time.